Let’s race to the LEGO Batmobile! 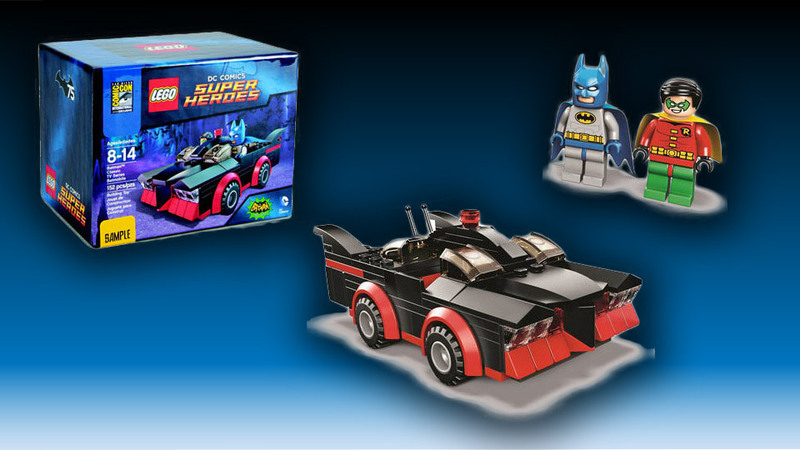 Check out this SDCC exclusive LEGO Super Heroes 1966 Batmobile, celebrating 75 years of Batman. The bundle comes with a pair of Batman and Robin minifigs also. Atomic batteries to power, turbines to speed, indeed! If you’d like to pick this up, you can grab it at Comic-Con for $39.99. No word yet on when or where it will be available outside the show, but we’ll certainly keep our eyes open.